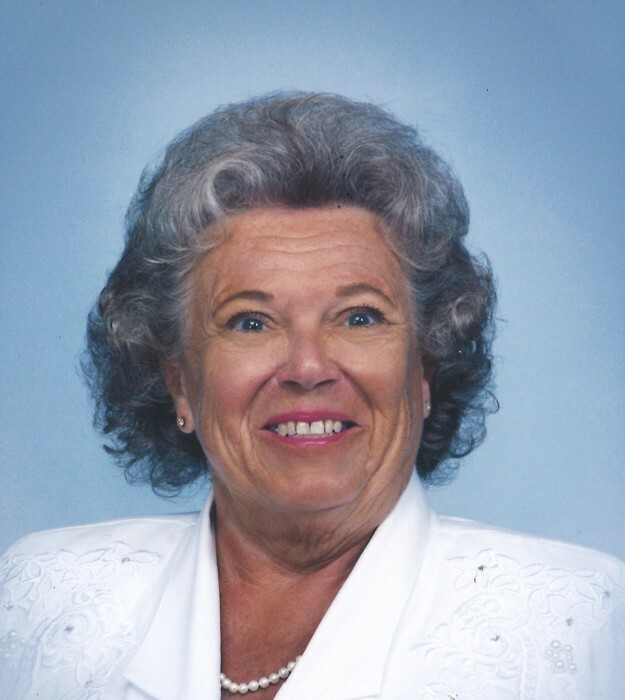 Memorial Services for Helen A. Kerns, 94, a resident of Bettendorf, will be 11:00 a.m., Tuesday, April 23, 2019 at Halligan McCabe DeVries Funeral Home, Davenport. The family will greet friends from 10:00 a.m. until the time of the service on Tuesday. Burial will take place at Mt. Calvary Cemetery, Davenport. Helen passed away Thursday, April 11, 2019 at her home in Bettendorf. Helen Arlene Tracy was born July 3, 1924 in Davenport, a daughter of Martin J. and Valeska (Gries) Tracy. She married James J. Kerns August 3, 1946 at St. Paul the Apostle Catholic Church, Davenport. They celebrated 69 years of marriage before James preceded her in death December 28, 2015. Helen was a member of the Lindsay Park Yacht Club. She enjoyed crocheting, reading, wintering in Florida, and spending time with her grandchildren and great-grandchildren. The sun was her best friend. In lieu of flowers, memorials may be made to the Handicapped Development Center. Those left to honor Helen’s memory include her children: Patricia (Thomas) Bolton, Davenport, Catherine (Michael) Campbell, Dayton, Ohio, and Debra (Mark) Hammes, Davenport; grandchildren: Tracy, Tammy, Julie, Jennifer, Jesse, Tricia and Bradley; numerous great-grandchildren. She was preceded in death by her parents and husband, James. There's still time to send flowers to the Visitation at the Halligan McCabe DeVries Funeral Home from 10:00 AM to 11:00 AM on April 23, 2019.